A premium mobile and desktop realtime charting app is the need of the hour for every trader. When it comes to such an app on the go, ChartIQ is the premier legend. When it comes to charting, data quality is king. ChartIQ is fed by a commercial-quality data feed, with access to US Equities, all major indices, and the top 30 forex pairs any web browser, any tablet, and on any smart phone. 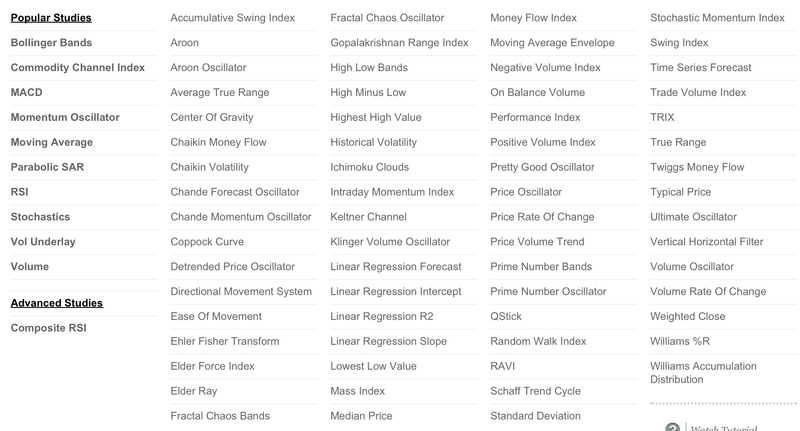 International Equities and indices EOD data are provided by Yahoo! Finance, allowing you to access almost any stock from around the world from any web browser, any tablet, and on any smart phone. 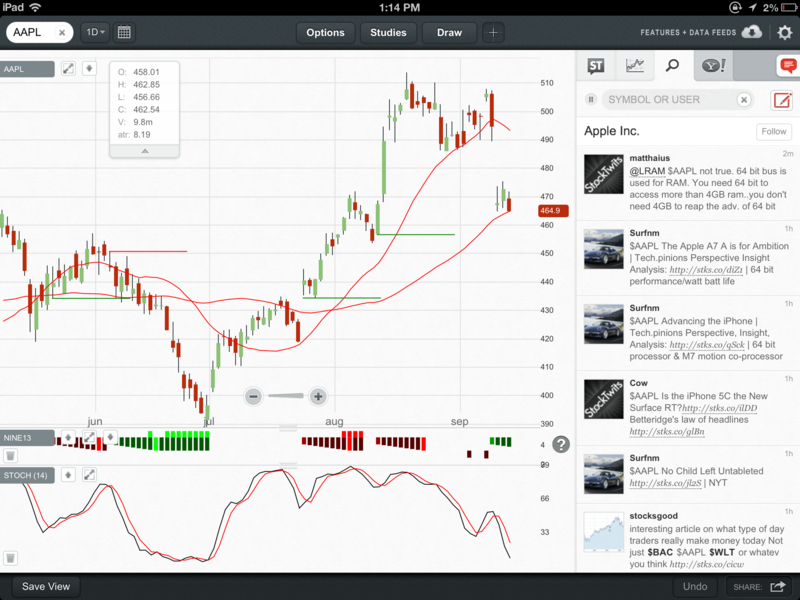 ChartIQ is the industry standard when it comes to Realtime Charting in Mobile. They also lead the way in charting and analyzing software for all trader types. – ChartIQ is a lightweight, modern HTML5 charting Platform. – ChartIQ supports your standard intervals (1/5/15/30 min, 1 hr, 1 day, 1 week, 1 month, etc), It also allows you to view n-minute, n-day, and n-week intervals. – Integration with StockTwits! Join the conversation in the largest social finance network – over 150,000 investors discussing stocks. View, search, and participate in the discussion with the ChartIQ StockTwits panel. – Automatically detect opening or closing gaps and plot them directly on price charts. – Create watch lists and quickly flip through your charts with just the flick of your thumb. – Curious to know what the future holds? Use the Projection Tool with your own set of trusted indicators to predict future price scenarios. ChartIQ Plus is the only app offering projections. – Automatically perform market price action bell curves for any time period or periodicity. – Automatically plot Composite RSI. Composite RSI is weighted towards recent momentum activity and yields trading signals based on divergence with RSI, “w/m” patterns and support or resistance levels. – Automatically calculate and plot price targets based on bearish/bullish divergence and Momentum Discrepancy Reversal Points (aka positive and negative reversals). – Gain a fresh perspective on your analysis – and remove any predispositions – by flipping the stock chart and all of your indicators upside down. Divergence detection, which identifies divergences between price action and oscillating indicators, and visually plots associated price targets. Price projection tool (aka “forward testing”), which allows analysts to test theories for future price movement, using their choice of technical indicators. An extraordinary transformation in investor technology is underway. Mobile and social investing are overturning old models just as the Internet did over a decade ago. ChartIQ has developed charting software with social charting, mobile optimization and an advanced toolset geared towards technical traders. ChartIQ’s products are available directly to investors, as well being offered via white labeled solutions through brokerages and finance sites.